Cocktail Audio is the world’s foremost provider of All-in-One music players, capable of ripping your entire CD collection and streaming music from your service of choice. Their simple integration, ease of use and inspired sound quality place Audio Cocktail well and truly in a league of their own. 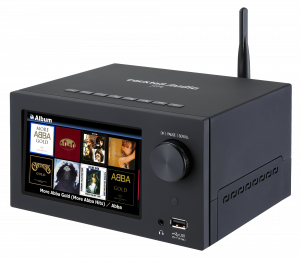 The X45Pro is the world's highest performance multi-purpose Music Player with the functions of DAC, CD Ripper, Network Streamer, Music Recorder and much more for audiophiles. This powerful unit was named PRODUCT OF THE YEAR by Sound and Image magazine. It’s an incredible, high-performance sound system in a single box.